Index annuity investors often have caps that limit their gains to a minimal level of return, yet they have high surrender charges and advisors earn high commissions. Results may not offset inflation. Advisors help investors allocate monies and charge an advisory fee higher than managers who actually manage the money. Often there are two levels of fees. The mutual fund charges and fees, that may amount to 3% plus the advisor’s fees. Variable annuities managed this way are even worse. 4% or more in costs for the annuity plus advisor fees are often the case. Some advisors still charge front end commissions on mutual funds purchased or “C” shares where the salesman gets paid immediately and the investors pays higher costs plus a surrender charge if he liquidates in a few years. Advisor’s can often purchase the same fund at no load with no surrender charges and lower annual costs. Large brokerage firms may have wrap fee accounts for a one or two percent wrap fee. The often use the firm’s own mutual funds so they can earn more. Usually these funds would not be selected on merit alone. The advisor spends little time managing the money. Trade costs for stocks may appear to be low at many brokerage firms, but execution prices may be higher because of hidden commission or transaction monies paid back to the broker by the trading firm used to execute the trade. Index funds have lower costs, but during periods of neutral or declining markets may not overcome inflation. Consider that from 2000-2010 the index did not make investors money, but inflation continued to increase. 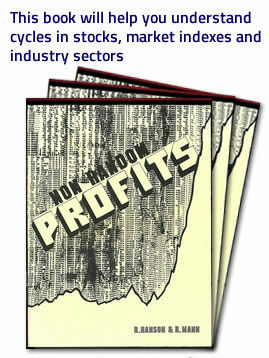 We have experienced three decades where there were minimal or non-existent profits. Compared to traditional mutual funds index funds have been better, but in declining markets it is like being a front line British soldier in the Revolutionary War, lined up side by side and easy to shoot. As an investment advisor myself, I have been asked many times to look over investors accounts. Often the person has had the same advisor for many years. They have a feeling something is not right, but they can’t put a finger on it. What I have discovered is that most often they have experienced moderate performance in good years and negative performance in declining years. If they take withdrawals out of their account when assets are down it takes many years to recover. Assets are not properly protected against longer term declining markets. Fees are too high for the level of performance attained. Although assets may be diversified, too much risk is taken and the risk is not understood. In Tony Robbins new book, “ Money Master The Game”, he explains it well. Mutual funds and advisors often charge 2% in fees and about 1.25% in additional costs. Since most do not beat indexes over a long period of time this cost is substantial. Managers that actually produce high alpha are worth their fees. High alpha means producing gains above and beyond the market index long term. A recent study based on buying stocks at low prices base after they have established long bases. Based on the definition of low in the book, “ Non Random Profits” from 2003-2013 there were 280 stocks selected that performed 10X better than the S&P 500 over the same period proving that a diversified portfolio of stocks purchased when they are at a low point in the cycle can outperform. Many advisors are selling income and growth and own the same stocks. Many of these stocks are high by definition. It is unlikely to achieve positive alpha by using a middle of the road strategy. Remember the story of the road. There was a fork in the road and a decision had to be made by the traveler. The first traveler picked the road most traveled by and did not fare well. The second traveler met one who knew the road and picked the one less traveled by and that made all the difference. I have been in the advisory business for over 45 years. I have always tried to do my best for my clients, but I have made mistakes. The biggest mistakes I have made are to take too large a position in a stock, to protect too much and not let profits run. I also learned that I needed to educate my clients so they more clearly understand the risks and timeframes needed to meet their objectives. At this stage of life I am 68 years old. I have a more humble attitude and a more complete understanding of the road. I have traveled the road many times. Robert K. Mann is CEO of Advisor’s Capital Investments, Inc. and Advisor’s Capital Research, Inc located in Woodstock,CT. 06281. He also consults with Capital MarketsIQ, a larger institutional advisor. Mr. Mann is coauthor of Non Random Profits. You may visit the book marketers site at http://www.nonrandomprofits.info.